Data protection should be a holistic practice; meaning, even your virtual machines should have first-rate backup. The latest release of Dell AppAssure 5Ô provides a unified solution for virtualized backup, replication and recovery processes. 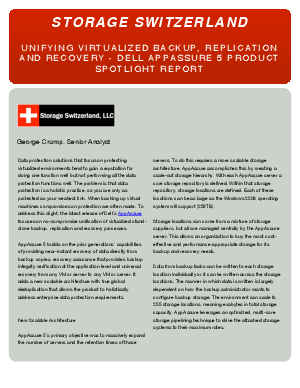 Find out what it can do for your business: Unifying Virtualized Backup Replication and Recovery: Dell AppAssure 5 Product Spotlight.